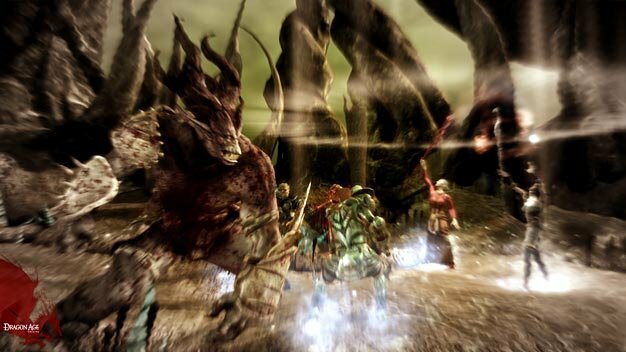 Dragon Age: Origins is BioWare’s first true multi-platform game of this generation, reaching PC, 360, and the PS3. This is the first game from the developer to hit Sony’s system, so its a kind of a big deal for a lot of reasons. For people that have never had the chance to play Mass Effect or Knights of the Old Republic because of their console preference, there’s many a reason to get excited. But don’t stop counting those reasons just yet, because BioWare is adding one more to the list tomorrow. In a good old fashioned announcement of an announcement, the game’s website revealed that a live chat on Friday October 23rd will bring with it “an exciting announcement for the PS3 version of Dragon Age: Origins“. The chat with Dr. Ray Muzyka and Dr. Greg Zeschuk will go up on the Playstation blog at 11am PST, so at least there won’t be much time to get the more outlandish rumours and theories out there. Dragon Age lands in stores on November 3rd for the PC and 360, and November 17 for the PS3.